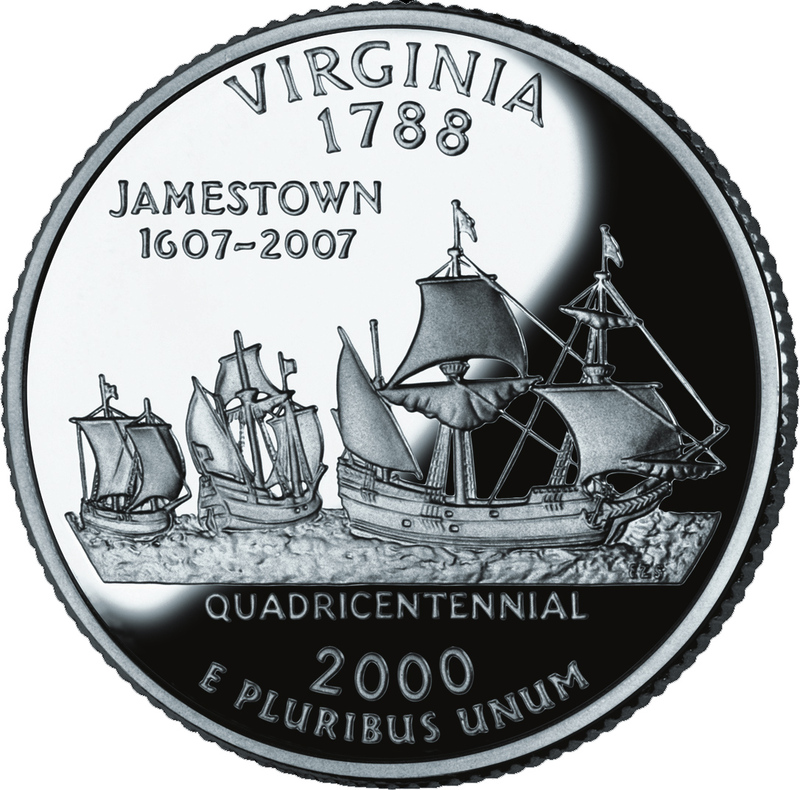 The U.S. Mint's bicentennial commemorative quarter for Virginia features the Jamestown colonial ships Susan Constant, Godspeed, and Discovery (the official state fleet) and the caption: "Jamestown, 1607-2007, Quadricentennial." 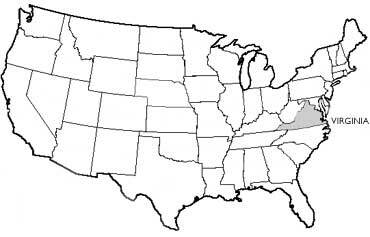 Virginia became the 10th state in 1788 (public domain image on Wikipedia). Virginia Quarter; Photo by [file:field-file-photographer]/[file:field-file-source] ([file:field-file-license]). Virginia's most familiar state nickname is Old Dominion. The nickname was earned by the loyalty of Virginia to the Royalist cause during the English Civil War and afterward, during the English Commonwealth. The moniker was given by King Charles II in recognition of Virginia's loyalty to the Crown, after the Restoration. Another nickname for Virginia is the "Mother of Presidents" because it is the birthplace of eight U.S. presidents. Virginia shares the designation "Commonwealth" with Pennsylvania, Kentucky and Massachusetts. The word is of English derivation and refers to the common "weal" (well-being) of the public.